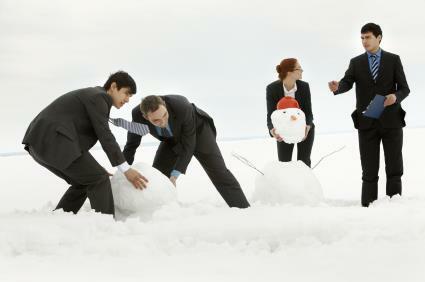 Winter is coming – and that can mean messy legal and payroll trouble if your HR policies aren't in shape. If you close early due to bad weather, must you still pay employees (exempt and nonexempt) for the full day? What if they come in late or leave early – must they receive their full pay? Can you make them take vacation or other paid time off? If the office remains open, but employees can't make it in … can you dock their pay? What if they've exhausted their leave? What are your responsibilities to employees during and after a disaster? Don't wait for a weather emergency to learn answers to questions like these. Now is the time to review your attendance and pay policies to make sure they cover all the bad-weather bases and comply with the federal Fair Labor Standards Act (FLSA). Important: This is NOT just a snow issue. Historic hurricanes have pounded the country in recent years. Storms, floods, power outages, fires, tornadoes and extreme heat can also play havoc with your pay and attendance policies. Join us Friday, November 9, for Inclement Weather Policies: Best HR and Payroll Practices for 2018 & 2019. In just 75 minutes, you'll learn exactly what your inclement weather policy should say for maximum legal protection and flexibility. 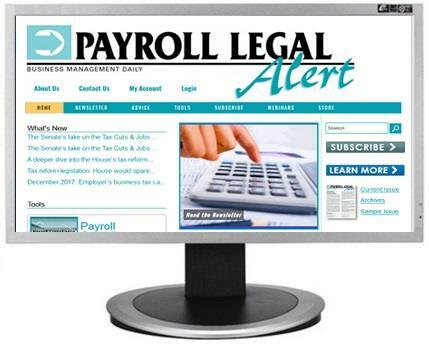 Plus, you'll be able to pose your weather-related questions to a true expert in payroll and legal matters. Never be left wondering, "Are we doing it right?" 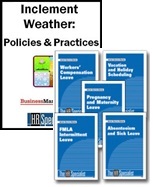 Inclement Weather Policies will explain how to establish rock-solid, legally safe policies and practices. P.S. Early Registration Bonuses. 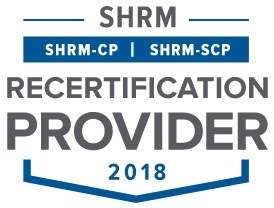 The first 50 people to register will receive two reports: 1) Our Inclement Weather: Policies & Practices white paper, which includes a sample inclement weather policy and a handy flowchart to help you decide who gets paid – both exempts and nonexempts – when the office closes for the day or shuts down early. 2) Our Employee Leave Mini-Library, a collection of five special reports, is your roadmap to compliance and legal protection. 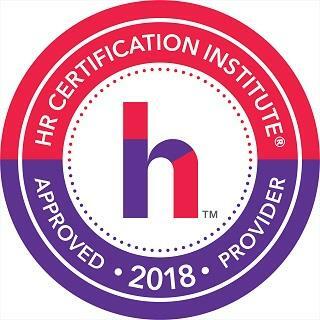 You'll find expert guidance on mastering absenteeism and sick leave, FMLA intermittent leave, pregnancy/maternity leave, vacation scheduling and workers' comp leave. P.P.P.S. We promise you'll be satisfied. 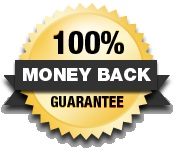 If Inclement Weather Policies fails to meet your needs, we will instantly refund 100% of your tuition. Your course materials, early registration bonuses and website access will be yours to keep. No hassles, no questions asked.